The tilt between Russia and Egypt will be played at the Saint-Petersburg Stadium in Saint Petersburg on June 19th. The Sbornaya has an excellent opportunity to secure the Round of 16 with three points here, while the Pharaohs are playing pretty much with their back up to the wall and failing to win could knock them out of the tournament. Russia didn’t have the best of times in the friendly games prior to the World Cup, and although many didn’t expect them to destroy Saudi Arabia in the opening game in the competition, the hosts celebrated a big 5-0 victory and fired a warning to their next opponents Egypt. Aleksandr Golovin and Denis Cheryshev displayed a dominating performance with three goals and two assists combined, while the striker Artem Dzyuba made an immediate impact after he was introduced in the last 20 minutes. The towering forward exploited the Green Falcons’ weakness in the air to score just a minute since coming in. Egypt’s head coach Hector Cuper opted to keep Mohamed Salah ion the bench and that proved to be a bad decision as the Pharaohs lacked quality and decisiveness in the final third against Uruguay. Salah stated that he’s 100% to play, but the coach kept them inactive, which will certainly not be the case on this one. Uruguay was the better side and created several goal-scoring opportunities, and they finally managed to beat Mohamed El Shenawy in the 89th minute. 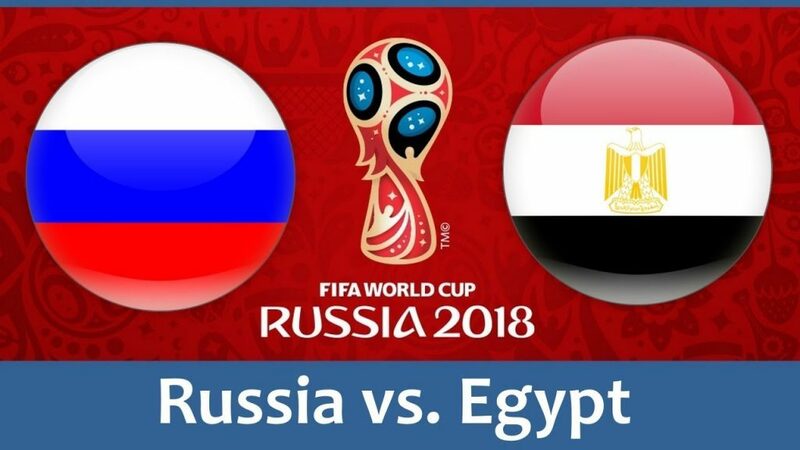 It was a tough loss for the Egyptians, but it seems that they will have more chances against the Russians, especially with Salah in. With Alan Dzagoev out with a nasty thigh injury he suffered in the first half against Saudi Arabia, Aleksandr Golovin will be Russia’s go-to guy on this one as he already showed he can take the responsibility. The CSKA midfielder has the ability to create chances for his teammates in the attack thanks to an excellent cross, while Golovin also proved he can be lethal from the set-pieces. Mohamed Salah will get a chance to play full 90 minutes and the Russian defense will have plenty of trouble with the speedy winger who is capable of making much better defenses cry, so the hosts will have to pay special attention to Liverpool’s star. It is the first-ever meeting between the sides, and although the hosts are favorites to get a positive result here, I think that the Egyptians have to attack and try to score an early goal, and now with Salah in the first eleven it will be easier than it was the case against Uruguay. On the other hand, the Russians have weapons of their own, so this clash should produce goals on both ends.